It is important to note that before you consider buying any medical equipment like lift chair, make sure it fits your lifestyle. The purpose of a lift chair is to lift a person to a standing position without causing injury or any kind of discomfort. This mobility device is amazing in its own way since it is designed to make it look and feel like a recliner so it can provide maximum comfort while combining with the décor of your home. Ergonomically, the lift chairs from Affordable Medical Equipment are designed to perfectly give the body the maximum comfort. The designs provide sufficient floor space in the front of the chair to allow you get good support when you stand up. In fact, our efficient lift chairs are designed to minimize the risk of falling out and reduce the strain on joints. Our lift Chairs Rentals come in Two Size Small - Medium for somone 5'-1" to 5' 6" with 20" Width or Medium- Large for someone 5'-7" to 6'2" Rental lift chair is contemporary design with deep seated comfort and ultra soft back. Two button control for easily raised to standing postion, lower to a seated postion. The chair will allow you to recline for extra comfort, along with a full napper postion. Superior leg extension with full chaise pad. Our Fabric that comes with our rental lift chairs is one of a kind. Its call High Performance Fabric which is a combination of Nantex, Durablock, and Bioam. 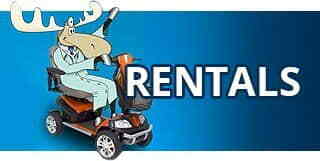 If you have requirement for medical lift chair rental in West Columbia, you are at the right destination. We at Affordable Medical Equipment offers our wide selection of lift chair for rent in West Columbia and nearby locations. When you are I search of a good lift chair, it is important to see if the chair is perfect for your condition depending on your height, weight, and mobility requirements. For this reason, it is important to try the lift chair before you buy it.Often chairs offer some additional features depending on the need and your mobility requirements. For instance, some medical lift chairs rentals in our assortment can be customized to reduce pressure and improve posture for people with spinal curvatures. Again, people with Parkinson’s also appreciate the therapeutic benefit of using our medical grade lift chairs because it comes with the massage feature and can help calm tremors. The combined benefit of massage and heat features together work wonder for people suffering from arthritic problems. When you are seated in one of our recliner lift chairs, the arms of the chair should be positioned at a level where they can provide you with maximum support to hold your weight and sufficient grip. To choose your chair you must make sure that the chair back should be relatively high to allow you to maintain good sitting posture as far as possible, yet flexible enough to keep you enough comfortable. Another important thing to be noted when you are seated in the upright position, your feet should be on the floor and not hanging or dangling above it. In some case where people are unable to do without the assistance of a lift chair, we recommend the use of seat assistance so they can sit down and stand up as per their convenience. 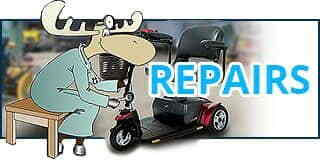 At any serious occasion, a medical lift chair is almost always the primary recommendation. It’s important to let the team of Affordable Medical Equipment know about your aesthetic preferences to make the best choice out of the lift chairs. Since our medical lift chair rentals come in variety of fabrics and different designs and colours to complement the décor of your home, we can help you find out the best one as per your need and taste.